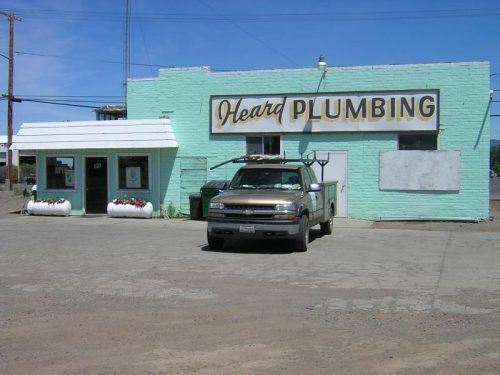 Since 1964, Heard Plumbing, Inc. & Modoc Drilling has been providing Modoc county with quality plumbing and drilling services. As a family-owned and -operated company, we take pride in providing exceptional service and the highest quality products available. Locally-owned and -operated, Heard Plumbing, Inc. & Modoc Drilling offers a full line of repair and installation services. Our expertise includes repairs, installation of hot water heaters, new plumbing, remodel plumbing, installation of well pumps, Bobcat services, septic tank installation and rooter services. In addition to top-quality plumbing services, we also provide a fully stocked plumbing supply in Modoc County, CA. Whether you need pipe, valves, tools, plumbing fixtures, faucets or water heaters, our store has it in stock. We sell only the highest quality products from top-name manufacturers, such as Moen, American Standard, Delta, Elkay Sinks and more. We are locally-owned and -operated, established in 1964. Our technicians are first class, respecting your property and keeping jobsites neat and clean. We offer free estimates to all customers with regards to our services. When you need professional, quality work completed on time and within budget, contact the experts at Heard Plumbing, Inc. & Modoc Drilling. "Heard Plumbing responded quickly to our urgent need after the water main broke at our ranch over the weekend and our fix kept failing. We ca..."
"Excellent service and friendly professionals, they arrived on time and did a great job fixing my plumbing leak, highly reccomend giving them..."
"I feel like a truly valued customer and put my trust completely in their expertise, integrity, honesty and absolute professionalism"
"Heard Plumbing and Modoc Drilling are the people I call for all my plumbing services, well drilling and plumbing supplies in Modoc County. T..."